Be part of the Tilbury Cruise Terminal story: Celebrating the Past, Imagining the Future. 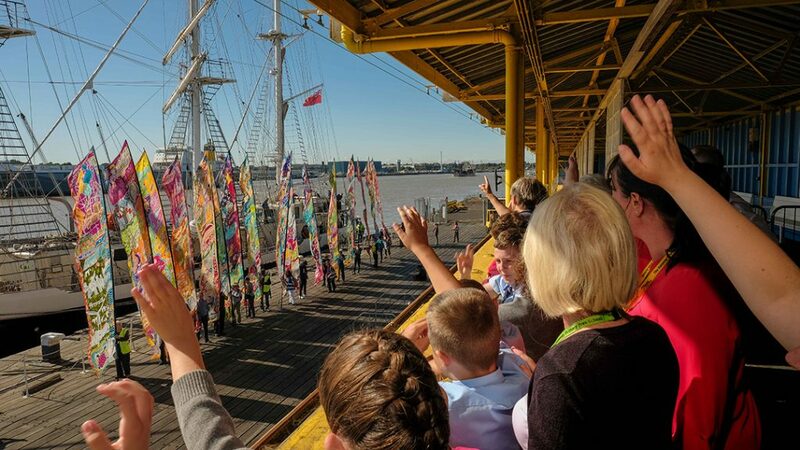 Join Kinetika and the Tilbury on the Thames Trust for a series of workshops to shape the long term plans for Tilbury Cruise Terminal and the rejuvenation of the Tilbury Carnival. These workshops will lay a foundation for future efforts to restore these magnificent buildings as a working Cruise Terminal and creative space for the community. Come and help us animate the story of Tilbury life at this exciting drama and storytelling workshop within the terminal building, led by Ali Pretty from Kinetika and Bernadette Wakeling of the Complete Commedia Company. If you’ve never been to Tilbury Cruise Terminal, you’re in for a treat! As part of the day, there will also be a free tour of the historic cruise terminal building followed by a bus tour of the Port at 11.30am. The outcomes of this workshop will be shared from 3.30-5pm and will help to develop a new vision for Tilbury Carnival. All ages welcome, children under 14 should be accompanied by an adult. Info on: projects@kinetika.co.uk or call 01708 202846. – A presentation on carnival dance. – A practical workshop which will involve teacher-led choreography as well as some exploratory work by participants, using Kinetika’s beautiful costumes. – Participants will get an insight into how to create movement with large costumes as well as the logistics of parade choreography. Jeanefer Jean-Charles is a Mass Movement Director, Choreographer and Creative Consultant with over 20 years’ experience of devising, creating, facilitating and directing dance and movement for performance. 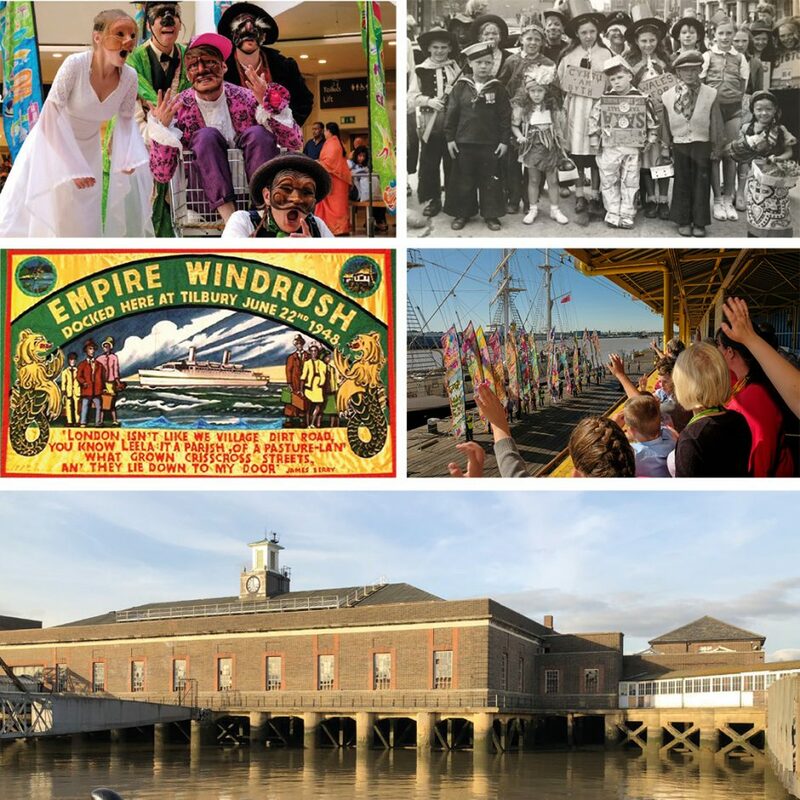 Join us for this free, family-friendly drop-in workshop exploring the story of Tilbury, linking the past, present and future, led by designer Ali Pretty from Kinetika and Bernadette Wakeling of the Complete Commedia Company. 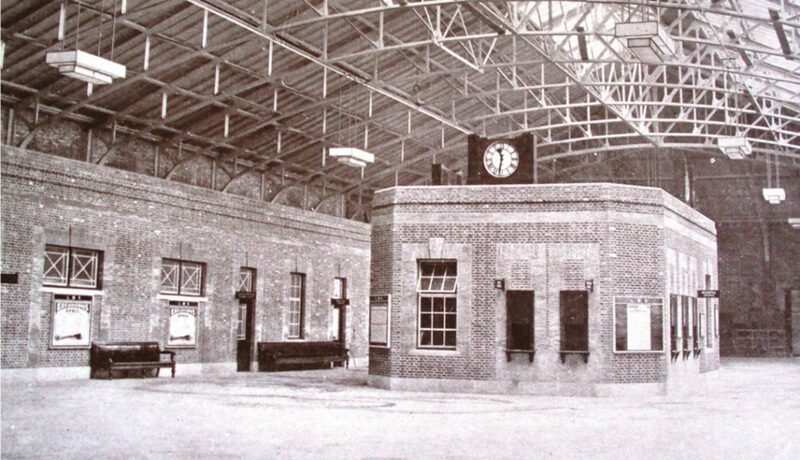 Please bring old photos, newspaper article or stories of Tilbury to share with us. Help to make a massive collage artwork to inspire the future of Tilbury Cruise Terminal! How could the story of Tilbury be told through redesigning the space of Tilbury Cruise Terminal? Join the architects for a discussion about what the community needs and what’s possible to achieve in the space. The Tilbury on the Thames Trust was established in February 2016 bringing together representatives from the Port and the local community to shape the future of the Grade II* Cruise Terminal complex in Tilbury. Collectively a vision to restore and celebrate the Cruise Terminal complex by combining commercial and community use was approved. This will focus on developing leisure and education opportunities as a hub for both Tilbury and the wider Thames Estuary. These workshops form part of a 12-month project being funded by the HLF ‘Resilient Heritage’ grant programme. This fund is intended to help heritage organisations achieve strategic change to improves the prospects for local heritage. Having established the Tilbury on the Thames Trust and set a vision for the Tilbury Cruise Terminal complex, the workshops will help us lay the foundations for delivering that vision through conversations that will shape the planning process and future funding efforts.